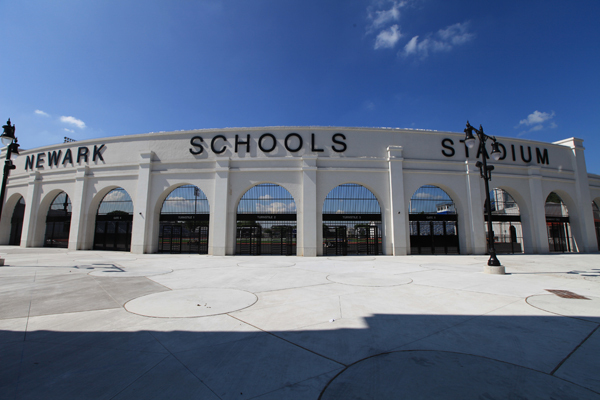 EI Associates was privileged to design the replacement for the landmark Newark Schools Stadium. 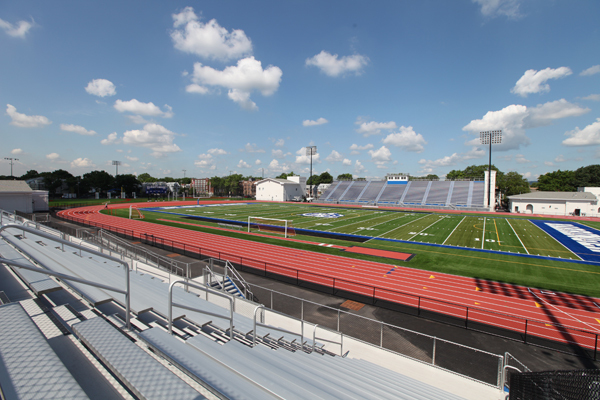 The historic Stadium has been the venue for countless high school and community sporting events for the City of Newark since 1925, including the 1928 National Women’s Olympic trials and former venue for Olympian Jesse Owens. 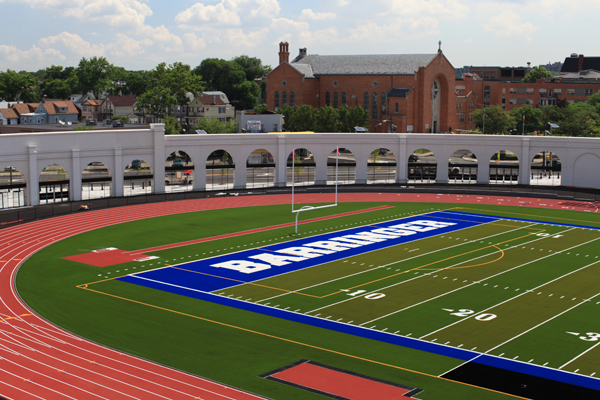 The new facility serves the athletic needs of the students at Barringer High School and features a multi-use, synthetic turf field to accommodate football, soccer, softball, and track. 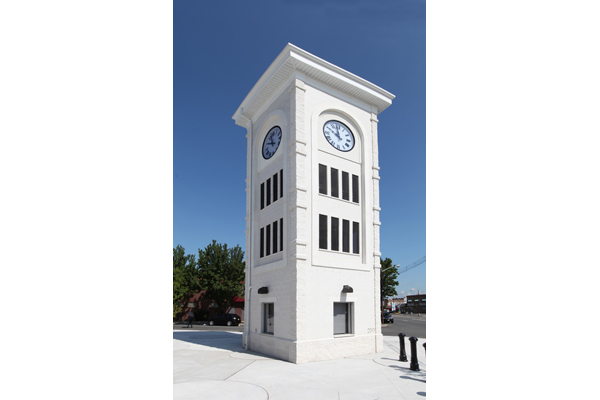 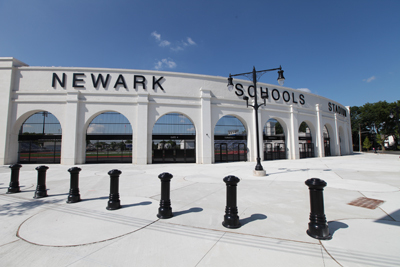 Recently completed, the new Stadium will serve as a living link to the historical traditions of the Newark Schools and the revitalization of the City of Newark. 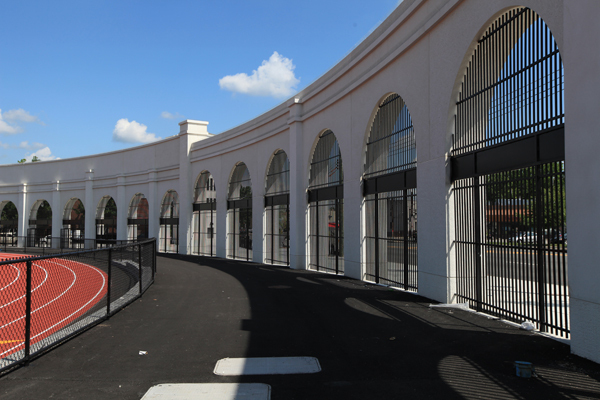 The new stadium includes iconic arched columns replicating the original stadium design, seating for 5, 600 spectators, locker rooms and lavatories, stadium lighting, appropriate athletic and equipment storage, concession area and clock tower / ticket booth.